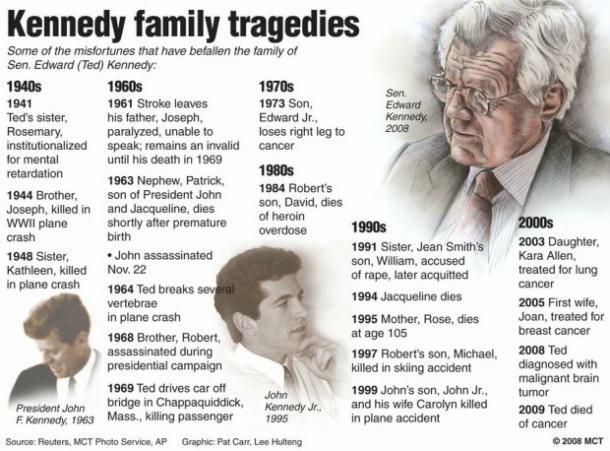 There should be a show called “Keeping Up With The Kennedys” because there are SO FREAKIN' MANY of them. And the latest Kennedy to be making political news is Congressman Joe Kennedy III. He's been gaining attention in Washington, D.C. as an upstanding Democrat in his family's best traditional style, particularly for sticking up for the people against House Speaker Paul Ryan during discussions of whether or not to repeal and replace the Affordable Care Act, better known as ObamaCare. Ryan called the controversial replacement bill an “act of mercy,” which didn’t sit too well with the Representative from Massachusetts. There is no mercy in a system that makes health care a luxury. There is no mercy in a country that turns their back on those most in need of protection: the elderly, the poor, the sick, and the suffering. There is no mercy in a cold shoulder to the mentally ill. This is not an ‘act of mercy.’ It is an act of malice." 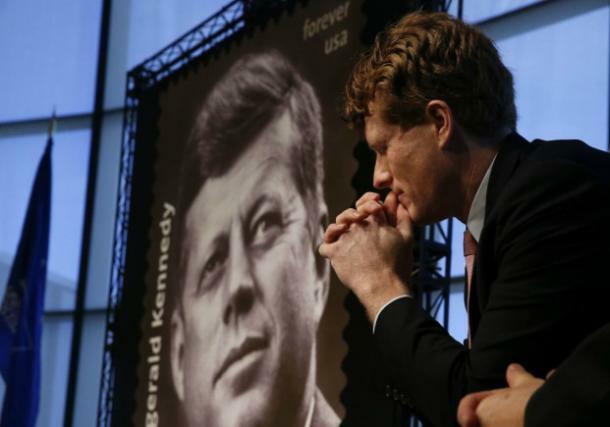 Want to know more about Congressman Joe Kennedy III? Yeah, I do too! Let’s get right to it then! 1. 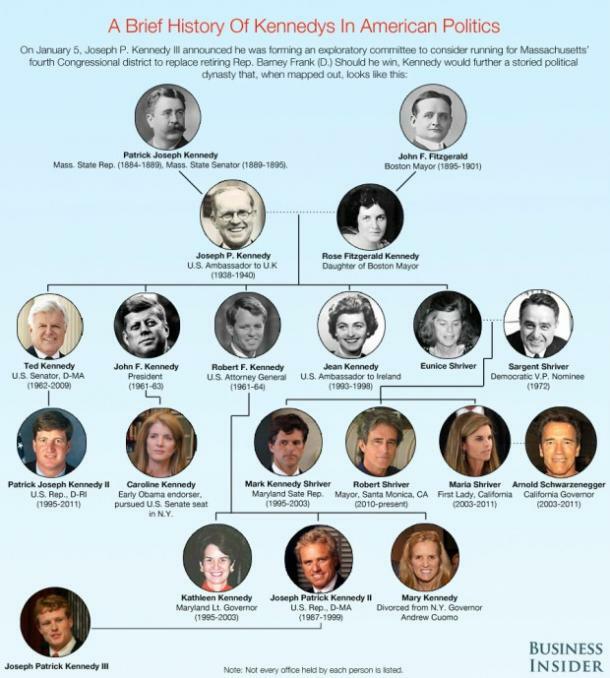 Where does Joe fall within the ginormous Kennedy family tree? Born in Boston on October 4, 1980, to Sheila Brewster (Rauch) and Joseph Patrick Kennedy II, Joe and his fraternal twin brother Matthew are the oldest grandsons of Senator Robert Francis "Bobby" Kennedy, John F. Kennedy's younger brother who was assassinated by Sirhan Sirhan the day after winning the 1968 California Democratic presidential primary in 1968 at the age of 42. The entire Kennedy family is huge and let's just say, I can't imagine how much it would cost to rent out a hall for the entire family to attend an event. I mean, the Kennedy's are EVERYWHERE! 2. 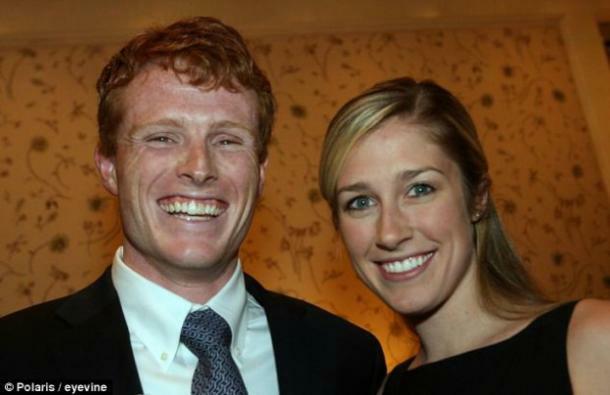 Is Joseph Patrick Kennedy III married? Joseph P. Kennedy III married Lauren Anne Birchfield on December 1, 2012. 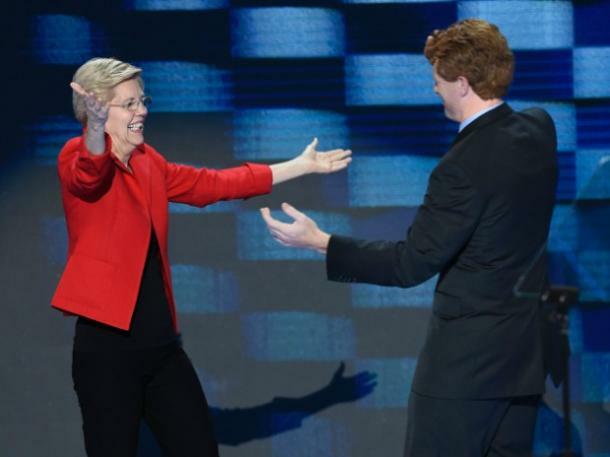 Fun fact: The two lovebirds met in a class at Harvard law school taught by ... wait for it ... Elizabeth Warren! On December 29, 2015, Joe and Lauren welcomed their first child, daughter Eleanor "Ellie" Kennedy. My ovaries just burst into a puff of flames. Thanks a lot, Joe and Lauren! 3. What is Joe Kennedy's net worth? In a family like the Kennedy's, money is a given. Joe's personal net worth is estimated at approximately $43.2 million. That seems oddly specific to me, but I'm sure he's not complaining! 4. Will Rep. Joe Kennedy III run for president in 2020? There's been no official word yet on whether this politician who actually seems to be FOR the people will run for the Democratic party. Although he certainly looks young, the minimum age required to run for U.S. President is 35, so Kennedy's current age of 36 means he qualifies. Hurray! 5. Uh-oh! What about the infamous Kennedy family curse? The Kennedy family is believed by many to be afflicted by a curse held responsible for the numerous tragedies and early deaths of so many Kennedy family members. But, with a family that large, the odds aren't really in their favor. The greater number of relatives, the more likely something bad is going to happen. And when you are a public figure, that chance is greater. 1941, Rosemary Kennedy, believed to have been developmentally disabled, is ordered to have a lobotomy by her father, Joseph Kennedy, Sr., leaving her unable to walk or speak well. She is subsequently hidden from the public in an institution until her death in 2005. 1944, Joseph P. Kennedy Jr, JFK's oldest brother, dies in a bomber craft explosion while serving in the U.S. military in England during World War II. 1948, Kathleen Cavendish, JFK's sister and the wife of Marquess of Hartington, dies in a plane crash in France. 1963, President John F. Kennedy (JFK) is assassinated in his presidential motorcade by Lee Harvey Oswald. 1984, David Kennedy, the fourth of Bobby's eleven children, dies in a Florida hotel room after overdosing on cocaine, painkillers and anti-psychotic medicine. 1997, Michael Kennedy, the sixth of Bobby's children, is killed in a skiing accident in Colorado at the age of 39. 1999, John F. Kennedy, Jr. dies in a plane crash off the coast of Martha's Vineyard along with his wife, Carolyn Bessette, and her sister Lauren. 2012, Mary Kennedy, estranged wife of Bobby Kennedy Jr, is found after reportedly hanging herself at her New York home. With a family that large, the odds aren't really in their favor. The greater number of relatives, the more likely something bad may happen to someone. And when you are a family chock full of public figures, those chances may be even greater. Regardless, we certainly wish Joe Kennedy III a long and healthy life. Keep up the good work, Congressman! We've got our eye on you!